Opportunity and position information: We currently have a Technician position available, we are in need of a 5+ year experienced Technician. 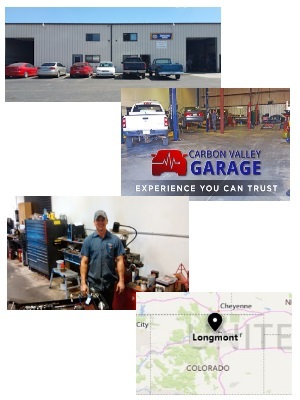 In business since 2011, Carbon Valley Garage takes great pride in providing the best possible service at a fair price. We are a Napa Auto Care facility and offer our customers a three year nationwide warranty. We are a full service shop proud of our honesty and integrity! *Techs, NO warranty work here. Get paid fairly on EVERY job!